Resisting is pointless – giving in to our recipe for soft white cheese with butter roasted cinnamon almonds is the only option that makes sense. As an entrée or quick snack between courses, wedges of soft white cheese, that soothingly contrasts a dash of plum jam, support flavours of nuts and mild spices. Enough to share! Melt the butter in a pan. Add almonds and cinnamon powder and fry the almonds lightly brown. Put the almonds aside and allow cooling. Add 30 pieces small crisp bread on a platter. 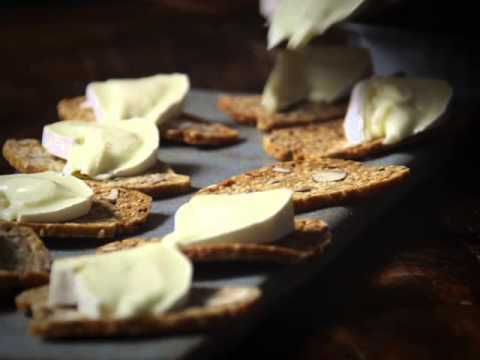 Cut Castello Extra Creamy Brie in small triangles and place on crispbread. Top with jam, for example plum, on top of the cheese. Garnish with cinnamon almonds and serve.